Build your creative brand using this brand new welcome guide! This client welcome guide is a magazine style photoshop template, easily customizable and ready to export to print / pdf in minutes. Wow your couples and prospects with a wedding planner brochure that sets you apart as a pro in the industry. Perfect for wedding professionals, planners, coordinators, decorators, wedding venue managers and more. Improve your band experience with this 20 page wedding business branding template. Build Your Creative Brand using this brand new Creative Welcome Guide. Designed for wedding professionals with a minimalist, modern style. 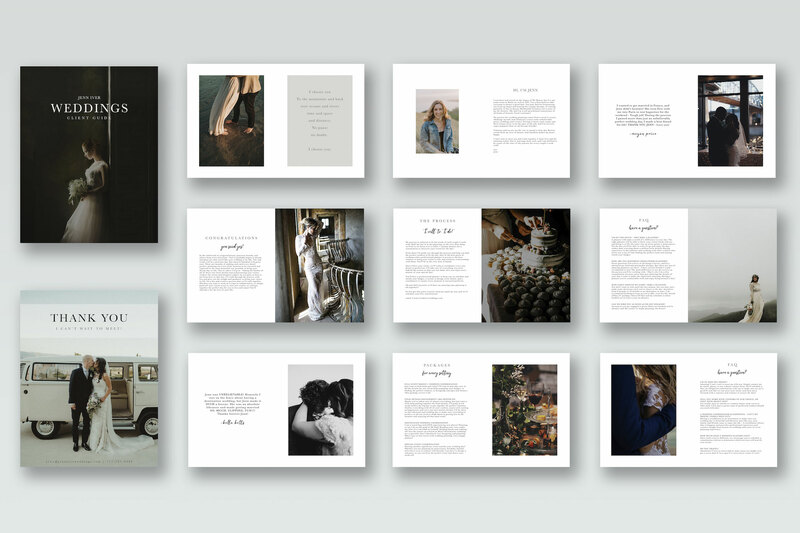 This client guidebook is full of earthy tones and rich, moody vibes. Not a photoshop expert? No worries! We've created a FREE video tutorial which goes through editing the guidebook template from beginning to end. Our Wedding Designer Welcome Guide includes professionally pre-written copy (text) that is written to compel your brides-to-be and give you a starting point for crafting your own personal brand message. Written in an engaging, conversational style, and carefully crafted to build trust + educate your wedding couples. You can make this Wedding Client Welcome Guide completely your own. Its totally customizable and EASY. Simply adjust the text, sub in your own images, and you’ll have a totally unique, brilliant photo guidebook in minutes. 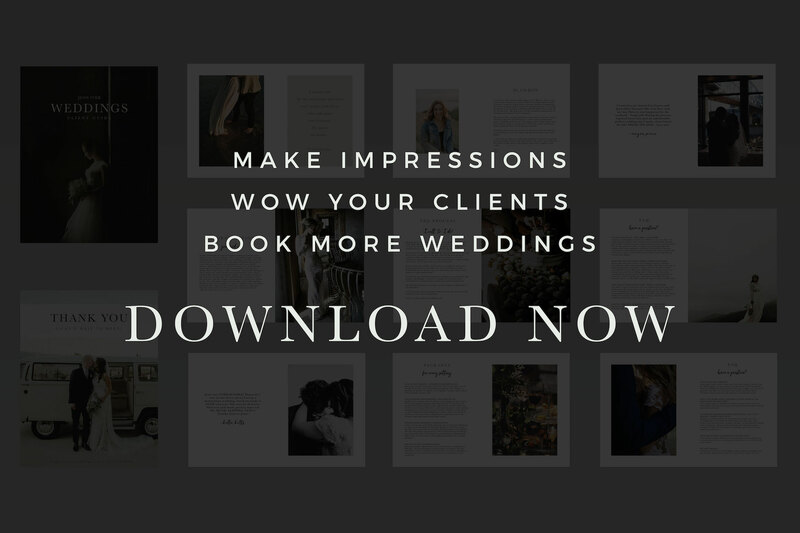 You'll wow your clients, make more bookings and build your brand with this Wedding Client Welcome Template / Wedding Designer Marketing Brochure. Not JUST a wedding guidebook! 9. The Process - From "I will" to "I do!" Headlines + copy are provided, you just add your own words / inspiration to specifically reflect your business! Wedding Planners, Event Planners, Wedding Coordinators, Venue Managers, Event / Wedding Designers, Stationary Designers, Florists, Wedding Decorators, Calligraphers, or any wedding vendor looking to wow their brides. The text is pre written with a wedding planner in mind, but is easy to customize to fit your business perfectly.